British special forces took note of the improvements, and opted to purchase some of the Arctic Warfare rifles themselves. While the weapon was formally classified as the L118A1 (fixed stock) and L118A2 (folding stock), only very small numbers were acquired and it did not replace the L96. 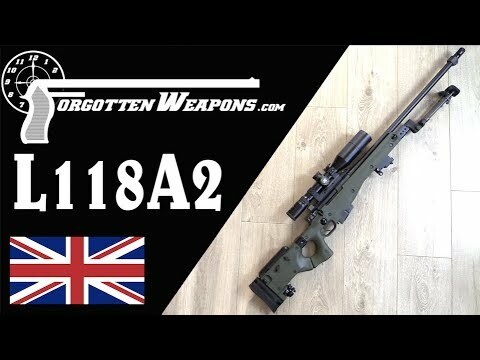 The rifles were in fact simply commercial AW rifles sold to the UK, not specially made. A number of features were added over the basic commercial model including improved bipod mounting options and a rear monopod foot, and in British service they were issued with a wide selection of additional kit. This included both thermal and image-intensifying (aka night vision) optics to mount in front of the L17A1 3-12x Schmidt & Bender scopes, backup iron sights, thermal straps, and suppressors. WOW! Are We Waking Up To The Truth Now?